by Sandy Marks, July 18, 2018 | The most recent Cuban elections for deputies to the National Assembly of People’s Power were held on March 11, 2018, with a voter turnout of 85.65% of eligible voters, and with 94.42% of the votes declared valid, meaning that they met all requirements established by law. Five weeks later, on April 19, the Cuban National Assembly of People’s Power was constituted and the 605 Deputies of the National Assembly elected Miguel Díaz-Canel Bermúdez as the new President of the Council of State, to replace President Raúl Castro Ruz, who had announced he would not seek re-election. The Deputies also elected Salvador Valdés Mesa as First Vice-President, Homero Acosta Alvarez as Secretary, five other Vice-Presidents and 23 other members of the Council of State. The principle of the right to vote and the current electoral process was established in the 1976 Cuban Constitution, approved by 98% of the Cuban people in a referendum, after in-depth discussions of the draft text in workplaces, schools and in rural areas around the country. The 1976 Constitution also established the People’s Power structure, which has been in effect for more than 40 years. There are Municipal, Provincial and National Assemblies of People’s Power. Voting by law in Cuba is a voluntary, egalitarian and secret act and enjoys wide popular participation. Voting is not compulsory as it is in some nations with voter turnouts comparable to the high voter turnout in Cuba. A Cuban citizen is legally permitted to vote starting at age 16, but to be elected as a Deputy to the National Assembly of People’s Power, a candidate must be 18. To place in context any discussion of the Cuban electoral process, however, it behooves us to examine the electoral process in the United States. We are a nation where politicians and the mainstream media exalt our “right to vote,” yet many would be surprised to learn that there is no specific right to vote guaranteed by the U.S. Constitution. 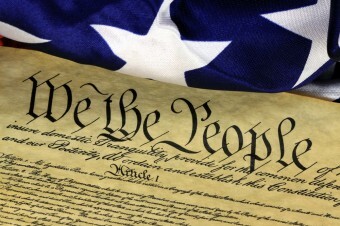 Democracy is not mentioned in the U.S. Constitution, which only guarantees a republican form of government. The “right” to vote is not a right at all but, at best, a privilege. While the Fifteenth Amendment to the U.S. Constitution states that, “the right of citizens of the United States to vote shall not be denied or abridged by the United States or by any State on account of race, color, or previous condition of servitude,” it does not say it is otherwise guaranteed. Qualifications to vote in state and federal elections are decided by each state. The Fifteenth Amendment has not stopped states from imposing hurdles to voting, including literacy, civics and “good character” tests, as well as imposing poll taxes, successfully designed to keep African-Americans off the voting rolls. One has to register to vote in the U.S. and only 70% of the voting-age citizens are even registered and, of course, women were not permitted to vote at all until 1920. Even after Jim Crow, a racial caste system in the U.S. that mandated the segregation of public schools, public places, public transportation, restrooms, restaurants and drinking fountains for whites and blacks, was supposedly ended in the U.S., there were other mechanisms that states used to stop people from voting in order to control the outcome of an election. For example, more than 6.1 million people are permanently barred from voting in this country because they have felony convictions, which includes 1 in 13 African-Americans. While Congress passed the Voting Rights Act in 1965, which was supposed to address some of the inequities in the electoral process, the U.S. Supreme Court scrapped much of this law in 2013, by determining there was no longer enough racial discrimination to justify it. Their decision enables nine states, mostly in the South, to change their election laws without advance federal approval. At the same time, the U.S. Congress is 82% Caucasian, although Caucasians represent only 62% of the U.S. population. The personal wealth of the average Senator is more than $1 million; the current U.S. President is a billionaire. Meanwhile, the average annual salary for a U.S. worker is $44,564. More to the point, it costs more than $1 billion to run for President of the United States — Hillary Clinton and Donald Trump together spent $2.4 billion on their Presidential campaigns. An average Senate campaign runs about $10 million. The longstanding practice of gerrymandering, or redrawing voting districts to favor those with the most resources and influence, remains legal and rampant. The United States Supreme Court has pretty much left it up to the states to divide their voting districts as they choose. In April 2018, the Supreme Court heard arguments on whether partisan gerrymandering in two states violates the U.S. Constitution, having previously taken the position that there are no discernible standards and thus the Supreme Court lacks jurisdiction. The 2000 U.S. Presidential race between Al Gore and George W. Bush, came down to one state — FLORIDA — where candidate George W. Bush’s brother was governor and where it became clear there were no uniform processes for the ballots, or how to count them. Ultimately, the U.S. Supreme Court — not the voting public or even the Electoral College — decided the outcome, ignoring many voters’ ballots in the process. In sum, the United States’ system of government has never been democratic. Now more than ever, money, above all other qualifications, buys the ability to influence policy. What limited voter choice there is lies between candidates picked by the two major parties — not by the people. The Communist Party of Cuba is the official political party, but it is not an electoral party and does not nominate, promote, elect or appoint candidates for public office, which is something not well-known or understood outside of Cuba. All citizens and organizations have a right, as well as a duty, to participate in the management of the State, either directly or through their representatives, and a candidate need not be a member of the Cuban Communist Party or have any political affiliation at all. The Cuban electoral law actually provides two electoral processes. The first is the process of partial elections, which takes place every two and a half years (the last time in November 2017) and is designed to elect delegates to Municipal (local) Assemblies of People’s Power. There are 168 such Municipal Assemblies located throughout Cuba. Candidates for Municipal Assemblies are chosen through nominating assemblies (or community meetings), which occur throughout the country. At these meetings, the floor is open and individuals can propose anyone who lives in their area, usually based on the nominee’s history, personal accomplishments, moral character and ties to the community. Campaigning is illegal; photos and biographies of those nominated are posted prominently in public places, so voters have the necessary information about the candidates in advance of the election. The State provides all funding for the election; candidates do not need to raise their own funds, which ensures broader participation by the populace and eliminates the need for individual wealth to aspire to run for office. Delegates and Deputies do not receive a salary for their work as Deputies or delegates; rather, they continue in their regular jobs, while also serving as elected officials. Being a Deputy or delegate at any level does not bring privileges; rather, it requires extra work and sacrifice. To facilitate wide public participation in voting, ballot boxes are placed near each residential area and in each college and are symbolically guarded by school children. The ballots are secret, but the process is transparent; the results of the elections are presented as the staff is counting the votes. The Municipal Assemblies exercise local powers, approve the municipal budgets, and within the framework of the Cuban Constitution, enact measures and adopt agreements on matters of local concern. The Municipal Assemblies also organize the People’s Councils, or local committees formed from members of local social organizations, first implemented as a rural experiment to ensure that Municipal Assemblies did not neglect rural affairs. The People’s Council experiment worked so well to involve the local citizens in solving local problems that they were expanded to the entire country, including the urban areas, and formalized in a 1992 Constitutional amendment. The Municipal Assemblies’ duties include choosing candidates for the Provincial Assemblies of People’s Power (there are 15) and the National Assembly of People’s Power. The elections for the Provincial and National Assemblies occur every five years. The nomination of a slate of candidates for the Provincial Assemblies and the National Assembly is conducted by a Candidacy Commission, which evaluates all the proposed candidates. Their hard work starts from the moment the election process begins and in this past election, they evaluated more than 12,000 candidates that emerged from 904 meetings of community organizations. The Candidacy Commission is chaired by an official of the Cuban Workers Federation (CTC) and includes representatives chosen from the social groups (civil society organizations) in the country: the Committees for the Defense of the Revolution (CDR), the Federation of Cuban Women (FMC), the Association of Small Farmers (ANAP), the University Student Federation (FEU) and the Federation of Secondary School Students (FEEM). The Municipal Assemblies then decide, via public vote, whether they approve of the Candidacy Commission’s slate of candidates or not. The pre-candidates must get 50% of the votes cast in the Municipal Assembly to be approved. If the slate of candidates offered by the Candidacy Commission is not approved, or one candidate is not approved, the Candidacy Commission must present an alternative. The nominees to the National Assembly of People’s Power can be from any part of the country; the delegates to the Provincial Assembly must be from the province in which they live. The slate of candidates for the Provincial Assemblies and the National Assembly are then presented to the voters to endorse in general elections ― the second phase of the electoral process. Of the total composition of the National Assembly of People’s Power, 50% of its members are proposed by the communities, and the other 50% by civil society organizations mentioned above. The National Assembly of People’s Power, with 605 elected Deputies (members), is the highest organ of state power. It represents the people and is the only body with legislative power in Cuba. The Deputies are a diverse grouping and include workers, peasants, intellectuals, students, religious leaders, a cross section of the entire Cuban society. In 2018, 53.22% of the elected Deputies were women, the second largest percentage of any Parliament in the world, after Rwanda. (Rwanda, however, uses a quota system to ensure its high percentage of women in Parliament; in Cuba, no quotas are used and all Deputies are elected on the basis of merit). The National Assembly holds regular sessions twice a year and from its ranks elects a Council of State — an executive committee composed of the President, the First Vice-President, five other Vice-Presidents, a Secretary and 23 other members. The President of the Council of State is also Cuba’s head of state. When the National Assembly is not in session, the Council of State represents the National Assembly and exercises its legislative functions and other duties, is accountable to the National Assembly and also owns the power to call the National Assembly into extraordinary session. In addition to the Council of State, there is a Council of Ministers, which is the highest-ranking administrative body in Cuba. It includes the President, Vice Presidents and Secretary of the Council of State, the appointed ministers (or heads) of the various ministries and other members as the law provides. The Council of Ministers has wide-ranging powers by law, such as the power to organize and conduct the political, economic, cultural, scientific, social and defense activities outlined by the National Assembly. The Council of Ministers directs foreign policy, international treaties and foreign trade and is responsible for the State budget. The Council of Ministers can also draft plans for the economy and implement them, once the plans are approved by the National Assembly of People’s Power. The law provides for a process of accountability (rendición de cuenta) of delegates to the people who elected them. Accountability meetings occur regularly every four months, where delegates report to their electors on the process of their work and explain local policies and decisions. In addition, Cuban law provides a process of “revocation” or removal from office, for failure to carry out one’s duties. Cases of revocation are rare. Cuba has a unique, developing and truly participatory process for choosing its government, starting at the local level, where neighbors meet and nominate other neighbors — people who are known to them, who will take on extra responsibilities without extra pay or perks to serve as delegates or deputies and who are chosen for their merits and their character, not for how much money they have. Transparency is built in, from the neighborhood meetings, the requirements of debates and in-depth discussions on important matters, the public participation in voting, the collective decision-making and the process of accountability.